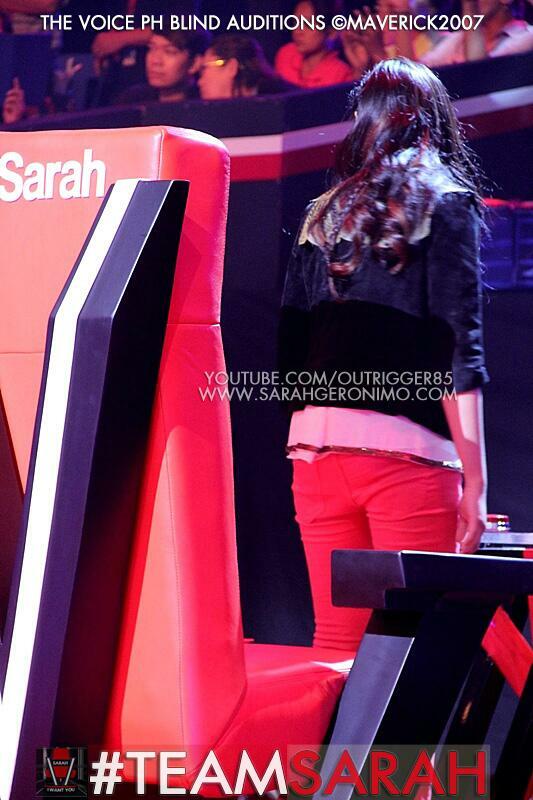 Ang balot at si Sarah. 1. The rapport/banter between the Coaches. Very entertaining. Great ensemble. 1. No shots of scripted wildly screaming audience during opening please. This is not ASAP, so we can do away with that. 2. The lighting execution and sounds, especially during the opening number. Maybe because of the editing? 3. *That* sound effect when someone presses the red button. Ang tahimik kasi. Hehe. @JunjiArias Thank you very much for being the 1st member of my team! 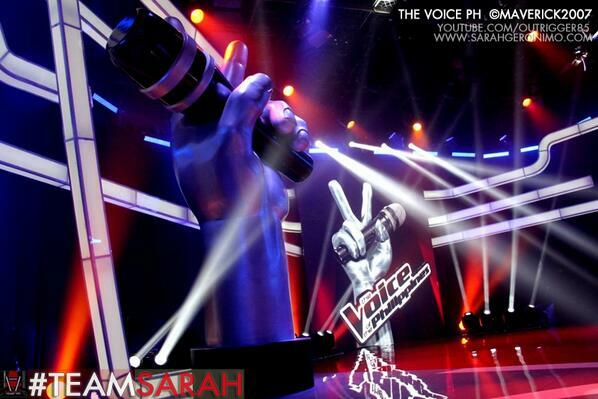 #TEAMSARAH Here we go! GOD bless us! 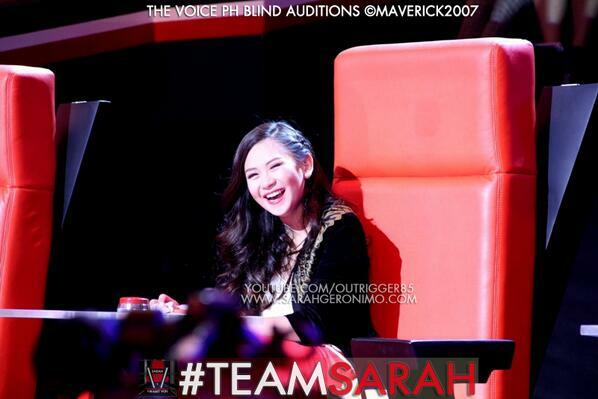 Maraming salamat sa lahat ng tumututok ng @TheVoiceABSCBN Next weekend ulit! Maraming salamat sa lahat ng #TEAMGOODNESS! Spread love.. Not hate. GOD bless us all! 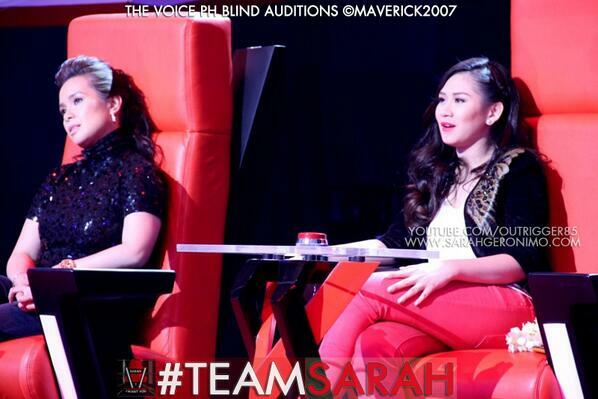 thank you for bringing them here Ms O. Nakikita talaga ang kabutihan ng puso ni Coach Sarah sa kanyang mga tweets. ilang mga RT's din niya ay supporting here firends like Rachelle Ann Go, Erik santos, Yeng, Bamboo, Juday/KC, atbp..
Sarah is truly an Ambassadress of Goodness! ^ Ambassadress of Goodness indeed! 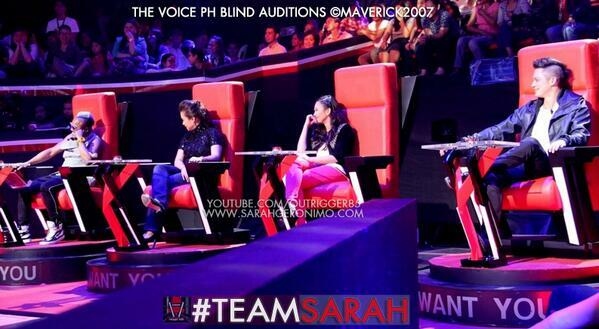 Daaaaaaaaaaarn, I wish I could steal Lee Grane for Team Sarah. Now there's a legit artist right there. 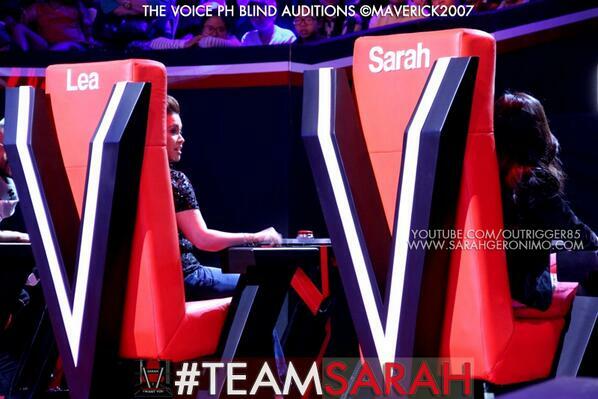 Magaling talaga si Sarah pumili. She really really knows what she's talking about. And looking for. I'm such a proud fan.